This is a Tamiya to Anderson SP-50A power cable. Use this connector with the Battery Beak when needing to check and test batteries for the VEX Robotics and FTC competitions. 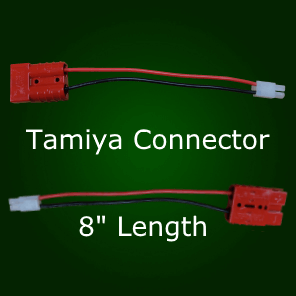 This is a Tamiya to Anderson SP-50A power cable. 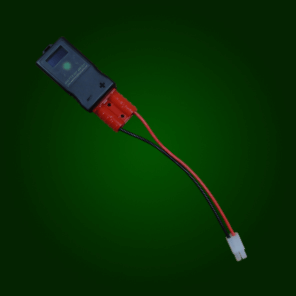 Use this connector with the Battery Beak when needing to check and test batteries for the VEX Robotics and FTC competitions. 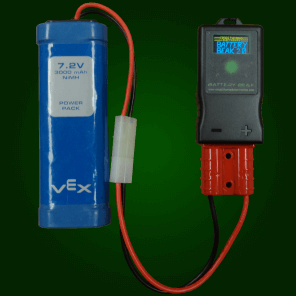 No more guessing if your batteries are fully charged. Go into each match at competition knowing the status of your batteries by using this cable to interface the Battery Beak to your batteries. 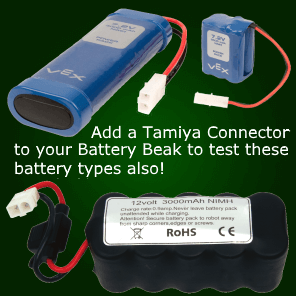 This adapter enables you to use the Battery Beak to test any standard hobby market 7.2V battery.